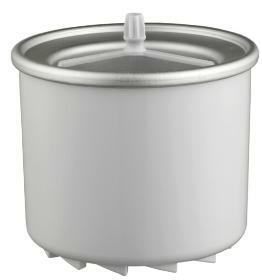 • Unit with quick freeze bowl. • Soft ice cream and sorbet produced in 15-25 minutes. • Standard plug (Exerted Length of Cord: 160cm). • Anti skid rubber on bottom of the unit. • Noise level: 75dba (30cm all around the unit, measured in ideal state).